Advanced email security for e-mail hoax. Be safe! Email are the lifeline of business communication and have been an important vehicle for cyber intrusion for cyber criminals.The sheer volume of emails being opened makes them a very easy and vulnerable target spots. A Symantec report suggests that there were about 198 billion emails in circulation each day in 2016. Also, another study suggests that 79% ransomware attacks and over 90% targeted attacks start with an email, hence email security is very essential. 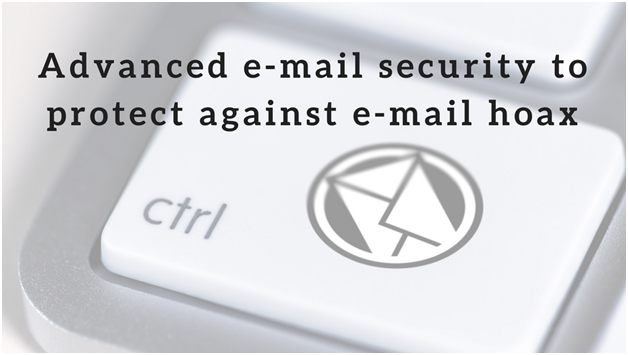 Business email compromise (BEC or imposter email) are low volume, hard-to-detect threats. It has resulted in more than $5Bn losses. They are growing exponentially with ransomwares as another major threat. Every quarter we hear of a major security breach, be it Equifax or ransomware extortion like Locky, Cerber or Petya or some corporate espionage the entry point in most cases is email. In the recent years, with the advent of social media and more connected technologies, the usage of email as an attack vectors have slightly declined but this doesn’t mean that the fences can be let down. Provide could sandboxing to analyze mails in -depth in a secure virtual environment. Securing the email and the network, however, will require a paradigm mind shift. It will require more efforts from companies to see cyber security as a strategic outlook. There needs to constant development and usage of the latest cutting-edge technology to keep ahead of the cyber-attacks. Technologies like machine learning, sandboxing etc for email security should be seen with new and focused thought and should be implemented at the earliest to keep abreast with the sophisticated cyber criminals. Logix Infosecurity deploys email protection technology which keeps the company’s safe by providing latest tools for cyber protection. Email protection is an essential tool which extends to DLP tools and firewalls to strengthen the entire security in layered fashion. Email, Email Phishing, Email Security. permalink.